My friend’s mum, Honey Stavonhagen, who is an author, lent me this book to write a review on. The main characters are Sophie Taylor, Lilian Rose, Billy Parker and Joe, who is a street urchin. It is set in Edwardian Times. 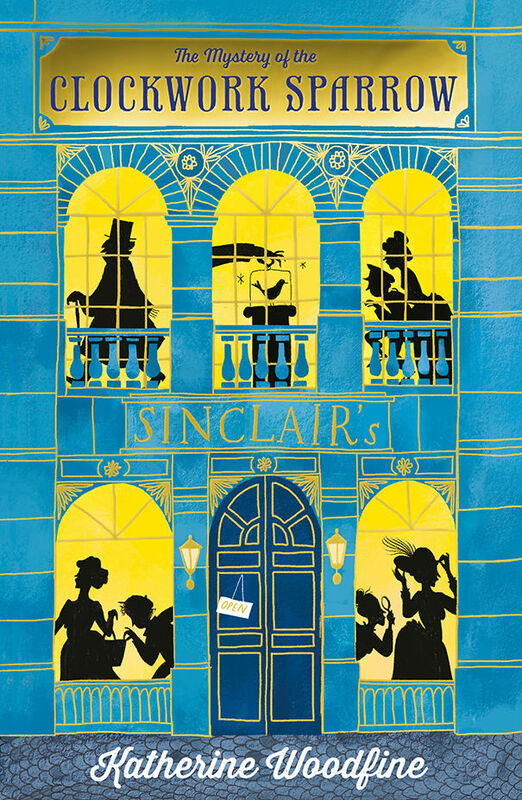 Sophie is one of the shop girls at Sinclair’s Department Store, owned by Edward Sinclair, a rich American. Lilian was chosen to be one of his live mannequins because she is very pretty. Billy’s uncle is one of the store’s managers and Billy works in the stable as a stable hand and basically helps about in the store, but he doesn’t want to. Billy finds Joe hiding in the stables and they become friends. A priceless artifact is stolen from Sinclair’s Department Store Antiques Room and Sophie is blamed. She loses her job and Billy and Lilian are determined to prove that she is innocent. And Joe decides to help. I loved this book so much I couldn’t put it down! I hid under the covers with a torch to read it long past my bedtime! I found it mysterious when Sophie was in the Baron’s basement and there was someone there with her but I didn’t know who it was. I loved the pictures of the costumes and the hats between the chapters and I liked that the hat that was shown, then appeared in the text of the next chapter. That was really clever. I really want to read the next book – hurry up and write it please Miss Woodfine! This entry was posted in Book Review and tagged Katherine Woodfine, The Mystery of the Clockwork Sparrow. Bookmark the permalink.